Back in September we shared a story about health provider Health Net which used fake tweets to promote its services. We called the work "a juvenile marketing move and yet another example of testimonials gone wrong." Now, the brand is doing a bit of back peddling presenting us with what they claim to be the real people behind the Twitter accounts they used in the campaign. The move is laughable as the accounts - NonStopMom2, HealthNut_2 and Biz_Guy1 - have just one or two tweets, all of which read "Thank you for your interest, learn more here" with a link that points to three "testimonials" from the "owners" of these Twitter accounts. On the testimonial page, the brand writes, "You might have seen our ads and have some questions. 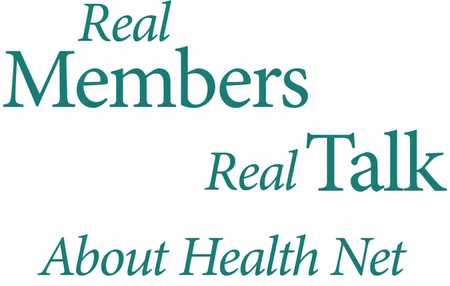 Our campaign features real testimonials from Health Net members. We thought this would be a fun way to show what our members think of us. While the execution may not have been perfect, it was always well intentioned." Really? Really? The tweets on the billboards are still no where to be found on these three accounts and the claims in the testimonials that "I am the real person behind [twitter account]" are a joke. The words juvenile and rookie are front and center when we think about the mentality that went into creating this campaign. And for the brand - even upon being called out the first time - to continue this charade is doubly juvenile. While the frequency of social media missteps such is this one are, thankfully, declining, there are still plenty of brands out there that simply don't get it.